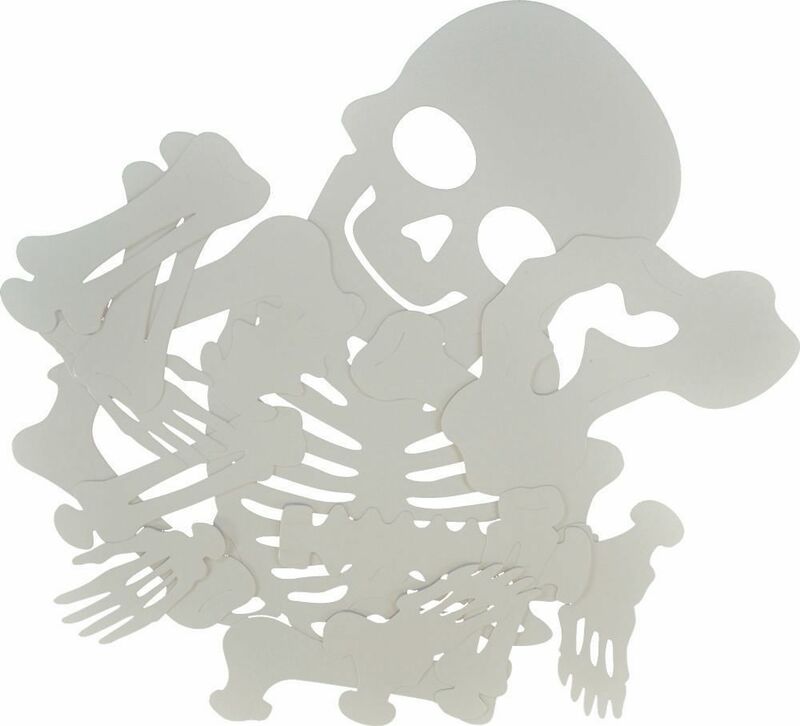 Join together a jumbo-sized cardstock skeleton! No scissors, glue or tape needed. Decorate and name the bones. Insert the tabs into the slots to make a skeleton that will wiggle and shimmy! 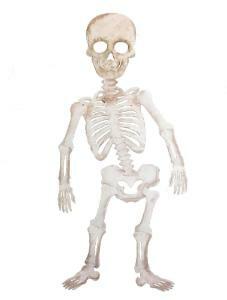 The kid-sized skeleton is made up of 16 individual bone segments and when complete is 91/2×35" tall (24×89 cm). Ordering information: Includes 12 projects, 192 bone segments up to 71/2×8" (19×20 cm) and guide.